The Best Marijuana blogs from thousands of top Marijuana blogs in our index using search and social metrics. Data will be refreshed once a week. Also check out Marijuana Podcasts. 2.13 Green CulturED | eLearning Solutions That Actually Work! 2.66 HerbAlert - Smoke herb, stay alert. 2.70 Nutritional High International Inc.
2.100 Plants not Pills | Access safe, effective Medical Marijuana. 2.108 CodeKush | We live & breathe cannabis. It's a lifestyle. Marijuana newsletter is a comprehensive summary of the day's most important blog posts and news articles from the best Marijuana websites on the web, and delivered to your email inbox each morning. To subscribe, simply provide us with your email address. About Blog Marijuana.com is the leading cannabis-related news site and forum for in-depth, comprehensive cannabis education, marijuana news, legalization advocacy and more. Marijuana.com has been in operation since 1995 and is owned and operated by Weedmaps, the most widely used medical and recreational marijuana dispensary locator in the industry. Facebook fans 45,617. Twitter followers 19,937. New York, NY About Blog HIGH TIMES magazine has reported on marijuana in all its aspects and wonders. This magazine is dedicated to medical cannabis patients and providers nationwide, particularly those living in the 14 states (and growing) with laws protecting their rights. Facebook fans 666,513. Twitter followers 694,922. United States About Blog The Canna Law Blog is a forum for discussing the practical aspects of cannabis law and how it impacts those involved in this growing industry. It will provide insight into how canna businesspeople can use the law to their advantage. Facebook fans 180,551. Twitter followers 5,105. About Blog Founded in 2009, Medical Marijuana 411 is one of the first online sources for patient centric information on medical marijuana. They are a community of advocates, patients, researchers and believers in the healing qualities of marijuana, with a commitment to bringing you stories from the patients themselves. Facebook fans 1,074,208. Twitter followers 2,218. Worldwide About Blog Leafly provides visitors with reviews of the best medical cannabis strains. Explore the latest cannabis news, lifestyle tips, education and more from Leafly, the world's cannabis information resource. Facebook fans 130,998. Twitter followers 97,294. USA & Canada About Blog A leading source of financial, legal and other business news for the cannabis industry. Marijuana Business Daily is the most trusted professional publication covering legal cannabis industry in the US. Facebook fans 22,987. Twitter followers 47,695. About Blog The Fresh Toast brings you lifestyle & entertainment news with sides of cannabis, medical marijuana information and a retail directory. Facebook fans 102,249. Twitter followers 3,697. About Blog A Marijuana blog with some of the funniest and highest content available on the web. We live and breathe this stuff. Browse Cannabis to find a local dispensary, learn about a type of strain or browse a range of awesome weed related content. Facebook fans 153,769. Twitter followers 1,575. San Diego About Blog Medical Marijuana Inc. is the 1st public company in the legal cannabis and industrial hemp markets, with leading cannabidiol (CBD) oil products. Facebook fans 97,457. Twitter followers 16,927. Toronto, Ontario About Blog Grizzle identifies the opportunities and risks for the new money paradigm, from a macro 'big picture' perspective to actionable cash-generating ideas. Facebook fans 17,248. Twitter followers 622. Worldwide About Blog MERRYJANE.COM is the definitive cannabis resource on the culture, news, video, food, and style of the connected generation. Dedicated towards expressing a new cannabis mentality by elevating the culture with exclusive content and relatable perspectives. Facebook fans 377,463. Twitter followers 38,086. 13. Green CulturED | eLearning Solutions That Actually Work! Denver, Colorado About Blog We are your trusted partner and total eLearning solutions provider for innovative, cloud-based learning and performance support resources. Enabling the cannabis industry to achieve competitive advantages through superior enterprise-wide knowledge and skills. Facebook fans 118,535. Twitter followers 4,290. Denver, CO About Blog Discover the latest news, tips and insights all things Cannabis Retail right here on the Cova Blog. Cova is a leading technology company that provides a point-of-sale system, interactive menu and digital signage for the cannabis industry. Facebook fans 1,429. Twitter followers 1,774. Vancouver, British Columbia About Blog An online cannabis mail-order service distributing high quality medical marijuana to Canadians quickly, discreetly, and with top notch customer service. Facebook fans 364. Twitter followers 286. About Blog A Cannabis lifestyle publication delivering the latest legalization news, strain reviews, product reviews and growing info. Facebook fans 1,315,254. Twitter followers 26,458. Amsterdam About Blog The expert source on growing marijuana. By Robert Bergman, author of the Marijuana Grow Bible. Learn to grow marijuana at ILGM today by following this blog. Facebook fans 11,726. Twitter followers 2,365. Vancouver, British Columbia About Blog Thousands of happy customers and counting, read the reviews on our site to see why our customers love us! Safe, reliable, high quality & fast delivery. Facebook fans 64. Twitter followers 3,620. Vilamalla About Blog Alchimia Grow Shop is a physical and virtual store specialized in marijuana self-supply, with more than 6000 cannabis-related products. News and tutorials about marijuana growing. Facebook fans 877. Twitter followers 1,396. California, USA About Blog Latest news and blog articles on marijuana featuring guest articles by Pot Valet. Stay updated with the latest Marijuana news posts by Pot Valet. Facebook fans 20,633. Twitter followers 17,121. Connecticut, USA About Blog Discover leads in the cannabis industry using a CRM and business development tool that connects you to marijuana and hemp license holders across the United States and Canada. Facebook fans 1,066. Twitter followers 2,071. Seattle, WA About Blog TheJointBlog.com is a cannabis news and information website. Facebook fans 32,840. Twitter followers 1,070. Steamboat Springs, CO About Blog Honest Marijuana's blog discussing everything from organic marijuana, to growing techniques, to concentrate to the latest in legalization. Facebook fans 1,755. Twitter followers 4,994. Denver, CO About Blog Leafbuyer is the deals and dispensary database of Leafbuyer Technologies, Inc. Founded in 2012 by a group of technology and industry veterans, Leafbuyer is the #1 online resource for cannabis deals and specials. We aim to provide valuable information for the savvy cannabis consumer looking to make a purchase. Leafbuyer's blog helps consumers stay up to date with medical and recreational marijuana dispensaries, news, guides, deals, and much more!! Facebook fans 4,741. Twitter followers 6,559. Denver, CO About Blog Colorado Pot Guide is focused on providing recreational marijuana news and travel information in Colorado. Learn more about Colorado marijuana, including where to buy marijuana. Facebook fans 5,592. Twitter followers 3,940. Los Angeles, CA About Blog Marijuana Packaging strives to be more than just a leading wholesaler for online smoke shop and dispensary supplies. Their goal is to keep our readers and clients informed with the latest news, current trends, and social commentary surrounding the recreational and medical marijuana industry. Facebook fans n/a. Twitter followers 4,716. About Blog The Sensi Seeds cannabis seed bank offers the best cannabis seeds available! Buy the most superior cannabis strains now! Facebook fans n/a. Twitter followers 26,209. USA About Blog Find marijuana industry jobs. Facebook fans 26,748. Twitter followers 415. British Columbia, Canada About Blog Cannabis in Canada is the leading source of breaking news and expert opinion on cannabis-related developments in Canada. Cannabis Life Network is devoted to its mission of informing its readers of what matters in all things relating to cannabis and producing professional, entertaining, and educational content. Facebook fans 14,820. Twitter followers 5,409. Gainesville Florida About Blog Florida Medical Marijuana's mission is to provide medical marijuana map listings for businesses in the medical marijuana industry of Florida. Their goal is to make sure the patient knows where the closest dispensary, caregiver, attorney, or other business is based on their location. Facebook fans 41,361. Twitter followers 4,645. California About Blog Welcome to California Weed Blog. California's number one trusted source for Honest Cannabis Reviews of Edibles, Dry Herb and Concentrate Vapes, CBD goods, Dispensary write ups, Pot News Policies, Marijuana Recipes and all other Cannabis related Products and Topics. Facebook fans 1,737. Twitter followers 964. Las Vegas, NV About Blog Freedom Leaf Magazine is the quintessential cannabis culture magazine dedicated to providing its loyal readership with the Good News in Marijuana Reform. Facebook fans 99,647. Twitter followers 3,461. Toronto, Canada About Blog At its very essence, Greencamp is the cure to the world's never ending cannabis curiosity. And who understands that better than the very people who ask the questions all the time.After realizing there are still many unanswered questions about cannabis, we decided to get together and give our two cents to this constantly evolving market. Facebook fans 3,974. Twitter followers 2,022. United States About Blog United Patients Group is the leading source for Medical Marijuana and Medical Cannabis Information. Check Out Medical Marijuana & Cannabis Blogs Here. Facebook fans 16,322. Twitter followers 6,241. Los Angeles, CA About Blog MG Retailer is a monthly B2B magazine and website that serves the current and future needs of the cannabis professional. We cover the people plants products that fuel the unprecedented growth of this evolving industry. With market forces and business environments changing at a dynamic pace, we help industry leaders remain at the forefront of change by providing in-depth coverage of the topics. Facebook fans 1,346. Twitter followers 3,236. San Francisco, CA About Blog Global leaders in delivering integrative cannabinoid care to those looking for a personalized & natural approach to reaching good health & healing. Facebook fans 119,246. Twitter followers 2,049. Canada About Blog Welcome to Cheeba's online mail-order marijuana dispensary based in Vancouver, BC, Canada. Learn about the daily news in the Marijuana industry as well as opinions from those in it. Facebook fans 295. Twitter followers 40. California, USA About Blog SpeedWeed is America's most popular Marijuana delivery service. Overnight and same-day delivery throughout all of California! Facebook fans 3,802. Twitter followers 128,101. Toronto, Canada About Blog Our mission is to promote and support medical marijuana producers, patients, and doctors by providing information about the benefits of medicinal marijuana. The Medicinal Marijuana Association will give you the information you need to determine whether medicinal marijuana can help you achieve a better quality of life. Facebook fans 1,764. Twitter followers 22,135. Washington, D.C. About Blog The Marijuana Policy Project is working to end marijuana prohibition and replace it with a system in which marijuana is regulated similarly to alcohol. Facebook fans 502,132. Twitter followers 179,487. Orange County About Blog This Blog is to help medical marijuana patients find better access to reliable and safe medication and create an atmosphere for patients to interact and feel at ease in our community of users. Facebook fans 215,980. Twitter followers 8,429. San Francisco, CA About Blog This Reddit blog is an educational and informative subreddit for Marijuana, dedicated to policy news, advocacy, opinion, health, and discussion. Facebook fans 1,207,747. Twitter followers 573,511. United States About Blog Hail Mary Jane (HMJ) is one of the premier Cannabis Culture blogs on the Internet. We believe that stoners can be productive and live happy, fulfilling lives, while still contributing to society in a meaningful way. Our goal is to set a model for cannabis users to look up to in our actions as well as our consistency and to inform them about various new products, innovations, events, and services available in the cannabis industry. Facebook fans 348,984. Twitter followers 9,360. Facebook fans 2,313. Twitter followers 5,245. Toronto, Ontario About Blog Welcome to The Blunt Investor, where we take a daily dive into the lucrative marijuana industry. We believe that if you want to make better investments decisions, educate yourself. We hope you enjoy our opinions and thoughts. Facebook fans 7. Twitter followers 540. Canada About Blog Smoke Pot Canada is an online retailer of vaporizers, grinders and bongs. Free shipping is available for orders meeting the minimum requirements. Start vaping today by choosing from a large selection of affordable, brand name vapes. We are your one stop shop for all weed and vapor accessories. Durango, CO About Blog The Greenery is the best Durango dispensary! Come on in for a wide selection of highest quality indica, sativa and hybrid strains of recreational marijuana, edibles, hash, concentrates and salves. The Greenery's blog aims to keep friends and customers entertained and informed about the new legal recreational marijuana industry in the United States. Facebook fans 665. Twitter followers 650. About Blog Marijuana Today Daily is a podcast that brings you all the legal marijuana industry news you need to know every Monday through Friday morning. Facebook fans n/a. Twitter followers 2,934. South Africa About Blog Latest South African Dagga Culture, Activism, Alternative News & Trends . Facebook fans 5,088. Twitter followers 3,197. Sacramento About Blog Doctor's Orders is one of the finest marijuana dispensaries in Sacramento. We have the area's largest selection of cannabis products including concentrates, edibles and medical cannabis. South Africa About Blog Cannabis World is a cannabis directory, video channel , cannabis information website that offers dispensarys, medical marijuana doctors a platform to promote themselves to a quality audience from around the cannabis world. Facebook fans 759. Twitter followers 3,598. About Blog MJCA features Cannabis industry news, search local shop, clinics and compare cannabis products. Portland, OR About Blog Marijuana Politics covers news, politics, sports, culture and entertainment that of course, focuses on marijuana law and news that impacts all facets of the cannabis community, but will also keep in mind the broader focus of bringing marijuana further into the mainstream. Facebook fans 6,720. Twitter followers 1,784. Facebook fans 469. Twitter followers 265. Los Angeles, CA About Blog All about Medical Marijuana usage, treatments and updates. 420 Evaluations offers medical marijuana evaluations. Weed cannabis card, and cultivation licenses to the Californians. Facebook fans 12. Twitter followers 2,344. Oregon, USA About Blog Marijuana News And Information. Facebook fans n/a. Twitter followers 58,758. Barcelona About Blog SantYerbasi Growshop are specialized cannabis growing shops. Sale of marijuana seeds for self-cultivation, cabinets, fertilizers, head shop. Mission is to make available to anyone over 18 years of age all the information and products necessary for self-cultivation of cannabis, as well as promoting activism and responsible consumption of this millenary plant. Facebook fans 1,154. Twitter followers 443. Cali About Blog Livestoner is a easy going weed blog where Comedy, Knowledge and Spirituality are combined to make a life a little better. Facebook fans 744. Twitter followers 298. Denver, Colorado About Blog Colorado Cannabis tours and 420 Friendly hotel bookings is a full service Denver, Colorado marijuanan experience. Best guides and pot tours. Best selection pot friendly hotels. Facebook fans 6,821. Twitter followers 892. About Blog Canna Care Docs has medical marijuana doctors offices in Massachusetts, Connecticut, Maine, Maryland, Arizona, Delaware, RI, and D.C.
Facebook fans 35,217. Twitter followers 757. Arizona, USA About Blog Arizona Medical Marijuana Certification Clinics (AZMMCC) can help you obtain the Docto's Certification necessary for the legal use of Medical Marijuana. Arizona Medical Marijuana Certification Center provides certification for Medical Marijuana usage using a statewide accepted process. Facebook fans 3,600. Twitter followers 3,164. About Blog Your information resource on medical cannabis for beginners to intermediate users. Learn about the many benefits of cannabis. Facebook fans 868. Twitter followers n/a. California, USA About Blog Commercial Real Estate Opportunities for the Marijuana Industry. Our services will help anyone looking to buy, sell, or invest in cannabis for real estate purposes. San Francisco, CA, US, 94102 About Blog MMJ Recs is a 100% online telemedicine platform that connects medical cannabis patients with knowledgeable compassionate MMJ Doctors. Our medical marijuana doctors are highly qualified and have a deep understand of the health benefits of getting a medical cannabis card. Facebook fans 189. Twitter followers 2,254. 66. HerbAlert - Smoke herb, stay alert. About Blog The international community with a different view on things. With thought provoking content we strive to change people’s view on marijuana. Canada About Blog Your source for Marijuana Information Take part in a community for finding and sharing the best strains and dispensaries. Facebook fans 2,064. Twitter followers 8,544. Vancouver About Blog HighClub carries everything from marijuana edibles online in Canada, including chocolate bars, cookies, pot brownies, candies, gummies and more, as well as CBD Oils in Canada to some of the highest quality weed strains you can find anywhere in Canada. Looking for a safe, secure, and quick way to buy weed online in Canada? Well, you've found the best online dispensary in Canada to buy quality products from, including Indica weed, Sativa weed, Hybrid weed, Marijuana Edibles, and so much more! Vancouver, WA About Blog Grow & scale your Cannabusiness with the most secure, compliant, seed-to-sale software for Producers, Processors, & Dispensaries. Premium business management software solutions for the cannabis industry built on SAP. We are SAP Business One-OEM Partners. Facebook fans 1,238. Twitter followers 2,542. 70. Nutritional High International Inc.
Denver & Toronto About Blog Nutritional High is primarily focused on developing, acquiring and designing products and brands in the marijuana-infused edible products and oil extracts sectors for medical and adult recreational use. Facebook fans 841. Twitter followers 1,773. Scottsdale, AZ About Blog Get the latest marijuana news that Weed Depot is tracking with our marijuana blog. Stay up to date on all the trending issues and new cannabis technologies. Facebook fans 20,051. Twitter followers 413. Facebook fans 2,145. Twitter followers 320. United States About Blog Sweet Leaf is a lifestyle brand with medical and recreational marijuana dispensaries across Colorado and Oregon. Facebook fans 591. Twitter followers 2,677. About Blog Jessie was once a Reluctant Cannabis Patient who became a Medical Marijuana Educator & Advocate. Marijuana Mommy is dedicated to teaching MMJ facts and silencing propaganda. Facebook fans 823. Twitter followers 4,929. Colorado Springs, CO About Blog Ted's Marijuana bring articles on cannabis & the marijuana community for education, news, health and so much more. Our cannabis community's mission is to push for global legalization. We share great content. Our directory is a #marijuana showcase. We don't do shoutouts. Facebook fans 3,340. Twitter followers 55,356. UK & USA About Blog Our mission is to educate and be a self-help guide to people who are suffering illnesses around the world, by teaching the true benefits of medical marijuana to help ease the pain mankind is needlessly enduring! Facebook fans 40,984. Twitter followers 3,843. About Blog Buy Medical Marijuana Online from one of the most secured and reliable online dispensary. Many people have been wondering how to buy weed online and also where can i buy cbd oil. Kush suppliers global has been dealing with marijuana for many years. United States About Blog Stoned Daily is your premier Cannabis Media source, providing up to date news, blog, stocks, and the #1 Cannabis social networking platform. Stay Stoned! Facebook fans 1,564. Twitter followers 464. About Blog A complete social network for the medical marijuana community. Medical marijuana topics, strain/product reviews, opinions, success stories and more from our community and from around the web. Facebook fans 568. Twitter followers 7,372. About Blog Cannabis Feminist is a community transforming cannabis into a universal wellness product and empowering women to lead the industry. The future of cannabis is female. About Blog 420 Foodie Club is an online resource for cannabis infused recipes, cannabis chefs, edibles, and cannabis food events. Los Angeles, CA About Blog The Cannabis Marketing Blog is full of marijuana related articles that help your cannabis business grow online using design & SEO. Facebook fans 121. Twitter followers 657. San Diego, CA About Blog Find out the latest news & topics on our medical marijuana blog at Point Loma Patient Consumer Co-Operative. PLPCC covers everything on medical cannabis. PLPCC is San Diego's #1 Medical Marijuana Dispensary. Facebook fans 1,006. Twitter followers 725. Wheat Ridge, Colorado About Blog Curious about recreational marijuana in Colorado? Our Blog is perfect for those who want to learn more about cannabis and get news, updates, & product info. Chronic Therapy is Colorado's finest recreational marijuana dispensary with a large selection of strains, edibles & concentrates. Located in Wheat Ridge CO.
Facebook fans 967. Twitter followers 596. Portland, Oregon About Blog Oregon Cannabis Institute is offering marijuana business seminars with attorneys, accountants and other industry professionals on proper ways of starting and operating cannabis business in Oregon. Facebook fans 8,919. Twitter followers 134. Washington, USA About Blog Follow the blog of a Washington weed shop that is more than just another marijuana dispensary. We live to educate our customers on Seattle cannabis. Facebook fans 652. Twitter followers 3,595. Portland, OR About Blog Canna Newswire provides news distribution to public relations, investor relations and marketing professionals in the legal cannabis market. Canna Newswire also provides media relations solutions to trade shows and events, and content consulting services to cannabis media outlets. Facebook fans 102. Twitter followers 162. London, Ontario About Blog NDIVA is a Licensed Producer and distributor of Medical Cannabis in Canada. Read our Medical Cannabis blog for Cannabis News, Guides, and Science. Get updates on the latest products and developments in the cannabis industry. Facebook fans 111. Twitter followers 134. Burlington, Ontario About Blog The Marijuana Facts is a place to share experiences, thoughts, and ideas as they pertain to cannabis and related subjects. We are a free-market of ideas! About Blog The Cannabis Conversation features Thoughtful insight around all things cannabis. Calgary, AB About Blog An alternative health clinic designed to help those in need with medical marijuana. Evaluations from professional, licensed health practitioners. Facebook fans 954. Twitter followers 364. About Blog Information and Education About Cannabis As Medicine. My goal is to provide education and information for those who are looking to use cannabis to help improve their health and manage their chronic illness symptoms. San Francisco | Los Angeles About Blog Looking for latest Cannabis news and updates? Check out our Cannabis Thoughts & Opinions. read interesting updates about Cannabis. Facebook fans 272. Twitter followers 5,741. Gilbert, AZ 85234 About Blog Green Cross Patient Center's compassionate staff can guide you through the Medical Marijuana certification process, and answer any questions you may have about the Arizona Medical Marij. Browse through the most frequently asked questions on the topics of Medical Cannabis, obtaining a medical card, Arizona's laws & procedures, pain management, and more. Facebook fans 1,542. Twitter followers 33. Orange County, California About Blog Cannabis Law Group is a law firm dedicated to the rights of medical marijuana patients, collectives and growers. They have consulted and represented many collectives, growers, patients, and doctors regarding California's medical marijuana laws. Facebook fans 233. Twitter followers 241. New York About Blog The Cannabis Stock Picks team has more than 150 years of experience on Wall Street. We have worn every hat from stock broker, to banker to the CEO of Public Companies. We know what investors should invest in in new growth industries such as The Cannabis Sector. About Blog News and legal resources concerning the Cannabis industry and medical marijuana. City of Angels About Blog LA NORML's mission is to move public opinion sufficiently to legalize the responsible use of marijuana by adults, and to serve as an advocate for consumers to assure they have access to high quality marijuana that is safe, convenient and affordable. Facebook fans 802. Twitter followers 10,228. 100. Plants not Pills | Access safe, effective Medical Marijuana. Canada About Blog Plants Not Pills is your access point to medical marijuana/medicinal cannabis licensing, information and support in Canada. We can help you obtain your medical marijuana license and access to safe, natural and effective medical marijuana from Ontario's top licensed producers. Facebook fans 5,092. Twitter followers 4,232. Spokane, WA About Blog A collection of the best stoner tools and weed gadgets on the Web! Facebook fans 1,065. Twitter followers 2,736. Florence, MA About Blog Consultation, education and sales of CBD products and their application in easing anxiety, pain, cancer and an assortment of ailments. Facebook fans 309. Twitter followers 294. 10 U.S./4 int'l offices About Blog The Blunt Truth is written by the attorneys at Seyfarth Shaw and provide updates and analysis of medical marijuana laws and regulations. The Blunt Truth aims to be a go-to source for updates, reports and analysis on the changes in cannabis laws and regulations and how they impact your business. Facebook fans 598. Twitter followers 9,456. Bergamo, Lombardy About Blog The latest cannabis news today including what's new in politics and pop culture, information, lifestyle tips and more. Facebook fans 73. Twitter followers 458. About Blog Pro-Cannabis Mom Blog - interested in more Holistic Health, Nutrition Fitness and crazy mom stories. Promotes Cannabis Education, and healthy lifestyles. About Blog How to Grow Marijuana Blog. All around growing Cannabis, Grow Light comparisons, Cannabis Culture and Lifestyle, Marijuana CookBook and Cannabusiness. Use our step by step growing guide with pictures. Facebook fans 2,372. Twitter followers n/a. 108. CodeKush | We live & breathe cannabis. It's a lifestyle. About Blog If you are looking for the best hydroponic grow kit for growing cannabis, don´t buy any before you read our expert reviews and buyers guide. Belgique About Blog Cannabis Belgium Information on cannabis in Belgium and worldwide. Facebook fans 41. Twitter followers 45. About Blog Marijuana Span is an unbiased platform focused on providing accurate information on marijuana strains, cannabis & hemp. Marijuana Span foresee a future where cannabis & hemp have become a cornerstone of society. San Diego, CA About Blog Cannabis marketing consulting services to transform your cannabis business. We help cannabis businesses improve their marketing for optimal results. We help business owners who struggle to reach and engage their target audience, achieve clarity, engagement, and growth for their cannabis business. Facebook fans 141. Twitter followers 144. About Blog Buy Cannabis Buds Online primary focus is to provide the best online information for patients seeking relief from their ailments through state medical marijuana programs, CBD programs, and medication with Weed for sale. Jamaica About Blog We are a group of smokers that have been smoking collectively for 45 years. We have all the news related to legal and medical Cannabis and Marijuana covered for you. About Blog Welcome to the DifferentWeed blog a place full of interesting and useful articles about everything and anything marijuana related. We share all sorts of weed news, facts about the cannabis plant, legal changes in different parts of the world and scientific discoveries. About Blog Medicinal Cannabis Dispensary is an online based Medical Marijuana Dispensary, Mail Order Marijuana Online Worldwide Shipping, providing customers with outstanding cannabis products. Being among cannabis industry pioneers, with a commitment to the future legal cannabis industry, while paying close attention to our consumers’ needs. Phoenix, AZ About Blog Marijuana Marketing Experts is a division of V Digital Services that focuses solely on digital marketing for the marijuana industry. Learn more about the marijuana industry. Stay up to date on the latest trends, rules and regulations regarding the industry and how to stay ahead. Facebook fans 56. Twitter followers 13. Baton Rouge, LA About Blog SMPL is an organization dedicated to statewide coalition building, sound policy research, education and advocacy for substantive marijuana law reform in Louisiana. They are headquartered in the capital of Baton Rouge where we lobby at the local and state level, but have affiliates in every major city throughout Louisiana. Facebook fans 4,127. Twitter followers 57. Wilmington, DE About Blog Follow us and learn the latest medical marijuana news and find information on the benefits of medicinal cannabis and other important health topics. Facebook fans 1,364. Twitter followers 591. Las Vegas, Nevada About Blog Connor & Connor Pllc is a Las Vegas, Nevada based law firm that works in the areas of business formation, transactions, medical marijuana and litigation. Facebook fans 32,250. Twitter followers 305. Boston, MA & Providence, RI About Blog The CannaBusiness Advisory is a resource for anyone intending to invest, operate, or otherwise participate in the burgeoning cannabis industry. As one of the first law firms in the country to establish a practice dedicated specifically to cannabis-related concerns. Facebook fans 257. Twitter followers 942. About Blog Calgary's premiere source for all things cannabis. We love cannabis and we are here to provide you with the best source for weed news, strain information, and product reviews in Calgary. About Blog Living, loving, and eating for the modern stoner woman. 931 W 5th Avenue, Denver, CO 8 About Blog We stand for marijuana legalization, with our proprietary organic growing techniques we make cannabis products free of harsh chemicals and safe for our clients. About Blog CannaDeus allows you to Compare, Evaluate and Discuss in a few clicks, Thousands of different Cannabis Seeds and other Growing Products (Fertilizers, Lighting, Accessories, Growing Systems, Growing Cabinets, etc.) using their Characteristics, Prices and Places of distribution. United Kingdom About Blog Sensi Times is an online publication that combines analysis and comment from the Cannabis industry exploring Culture, Lifestyle, Food, Medicinal and more. Facebook fans 31. Twitter followers 187. Atlanta, GA About Blog Cannabis Twenty-Four Seven is a site for people who like cannabis and everything about it. It is time to recognize the importance and benefits of marijuana. Facebook fans 1,028. Twitter followers 6. United States About Blog Stoned Daily is an online media source, that provides news about cannabis and medical marijuana. We cover topics covering a wide range of Cannabis related topics. Facebook fans 1,508. Twitter followers 4. Vancouver, WA About Blog Cannabis Chronicles is not here to judge legalization. We're here to study it, watch it evolve and hopefully encourage open dialogue about all aspects of it. We want to give cannabis consumers information about the industry, its products and how to use them safely. We aim to share product reviews, news, videos and thoughts from all parts of the industry. Facebook fans 510. Twitter followers 1,253. About Blog We are not the couch-locked stoner caricature sketched by politicians with a hidden agenda and a lack of imagination. We are diverse. We are free thinkers. We are achievers. And we are not here to scare your parents. We believe that cannabis is more than just a plant. Above all, we believe that cannabis is a catalyst to experience, to curiosity, to culture, to the community, and to health. Hawaii, USA About Blog You love helping people and you love the medical marijuana community. We are business professionals with over 25 years of first hand business knowledge. From coffee shops to online ecommerce businesses to import export and distribution we have done it all successfully. Facebook fans 139. Twitter followers 335. About Blog RealGrower.com is a full-service cannabis branding agency, dedicated to the marketing of cannabis products and services. We partner with cannabis industry companies who are dedicated to making their brand image not only recognizable, but an experience for the consumer. RealGrower.com is at the forefront of the recreational marijuana industry with over 20 years of combined work experience. Malibu, California About Blog Malibu beach physicians here at Malibu Beach Physicians specializes in evaluations for Medical Marijuana cards. Facebook fans 62. Twitter followers 1,473. Denver, Colorado About Blog Jay Hidoshi has been a resident of Colorado for 26 years. He has Colorado marijuana real estate for sale, and is an authority on owning a medical marijuana..
About Blog Strain Insider is a fast growing Cannabis magazine. We focus on global cannabis news, businesses, stocks and technological advancements. Follow Strain Insider and educate yourself about one of the most promising business fields in the 21st century. Facebook fans 2. Twitter followers 68. South Euclid, OH About Blog Cleveland Cannabis College is a program designed to introduce people to the field of medical marijuana and help mold them into Cannabis professionals. Facebook fans 85. Twitter followers 56. About Blog The Chris-steve Dispensary team is trained to provide you with a seamless experience from start to finish. We have trained medical marijuana staff, on-site, ready to provide you with the safest medicinal options according to your diagnosis and symptoms. Facebook fans n/a. Twitter followers 222. About Blog Croptimize is a simple, measurable, and curated path to energy economics optimization. Facebook fans 29. Twitter followers 198. South Africa About Blog The Weed Blog ZA, bringing cannabis culture together. We are here to inform and educate South Africans on all things cannabis related. Facebook fans 1. Twitter followers 22. About Blog Home grow place to share your weed Pictures and Cannabis Grows, meet new growers and smokers and get help from others with our weed forum. Your Number one place to share your weed Pictures and Cannabis Grows. About Blog A new medical Medical Marijuana dispensary in the heart of Colorado, Serving its environs and discreetly serving others out there who’er interested and willing to take a leap of faith in the right form of medication. About Blog Follow this blog to find resources and articles on Cannabis Culture. About Blog Lawyer, journalist, lecturer and marijuana advocate. NM revolutionizes the way people talk and think about cannabis and medical marijuana. Facebook fans 1,510. Twitter followers 23,891. About Blog Info and tips on Indoor Culture. Learn everything there is to know about growing marijuana indoors, get tips&tricks to improve your culture, and follow our own little ones on Free the Tree. Facebook fans 38. Twitter followers 680. About Blog This site is about anything and everything related to Marijuana . Orange County, CA About Blog Bud Man HB offers a legal medical marijuana delivery service in Huntington Beach and surrounding areas including Costa Mesa, Seal Beach, and Westminster. Facebook fans 12. Twitter followers 161. Texas About Blog Current Legal News, Health Tips, and Product Reviews related to Marijuana in Texas. Usa About Blog Need help fixing your sick cannabis plant ? Search questions already answered or in progress. Facebook fans n/a. Twitter followers 12,175. California, USA About Blog One Click Stores is online wholesale supplier of most attractive design of smoking product with amazing price. Facebook fans 194. Twitter followers 122. United States About Blog We sell marijuana buds and seeds discreetly and stealthily. We offer varities of strains such as brownies, hash THC, CBD,Cannabi oil, hemp oils, skunk for medical purposes such as biplomar, insomnia. Facebook fans 37. Twitter followers 30. Planet Earth About Blog Skunkology is your complete online guide to growing weed at home. We provide the best product reviews, beginner guides and advice to help you grow awesome buds! About Blog The term medical marijuana refers to using the whole, unprocessed marijuana plant or its basic extracts to treat symptoms of illness and other conditions. The U.S. Food and Drug Administration (FDA) has not recognized or approved the marijuana plant as medicine. About - I have traveled to some of the most prestigious weed destinations in the world, including Manali in India, and Nepal, and I have lived in 8 countries. I am a cannabis smoker and I’m pretty sure it’s been a completely beneficial thing for me. About - Our blog on cannabis is a meeting point where you can be up to date with what’s going on in the cannabis field as well as actively take part in as many ways as you wish. We regularly edit our content with topics that range from marijuana legislation, growing tips or growers’ personal experience to new developments. About - DCS is focused on delivering an amazing range of high quality seeds at best value prices. Our commitment to everyday lower pricing is made possible because our customers don’t want a complicated online experience when making their seed choices – just value across an outstanding range. 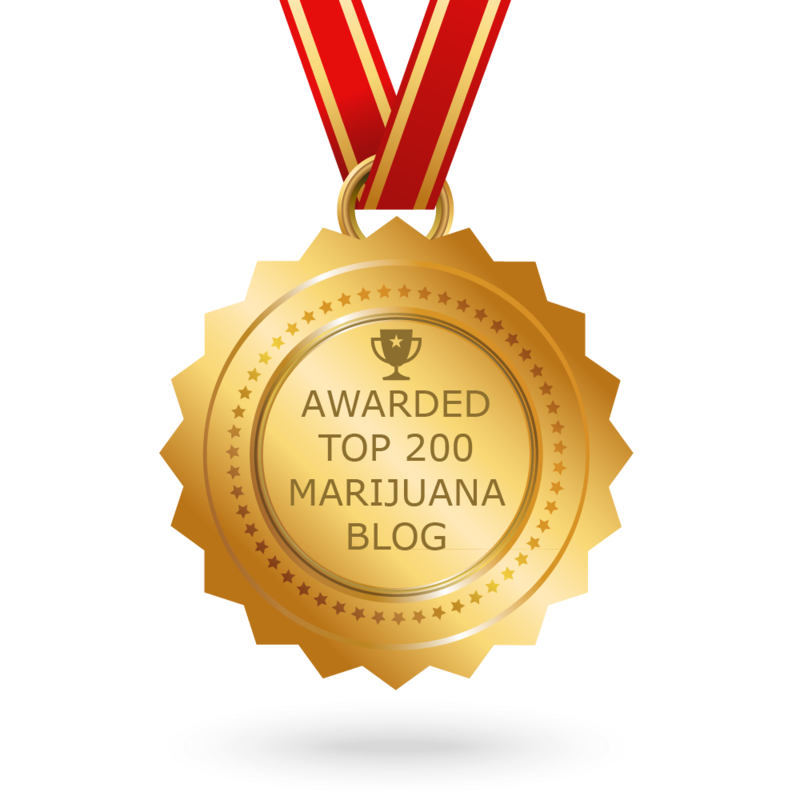 CONGRATULATIONS to every blogger that has made this Top Marijuana blogs list! 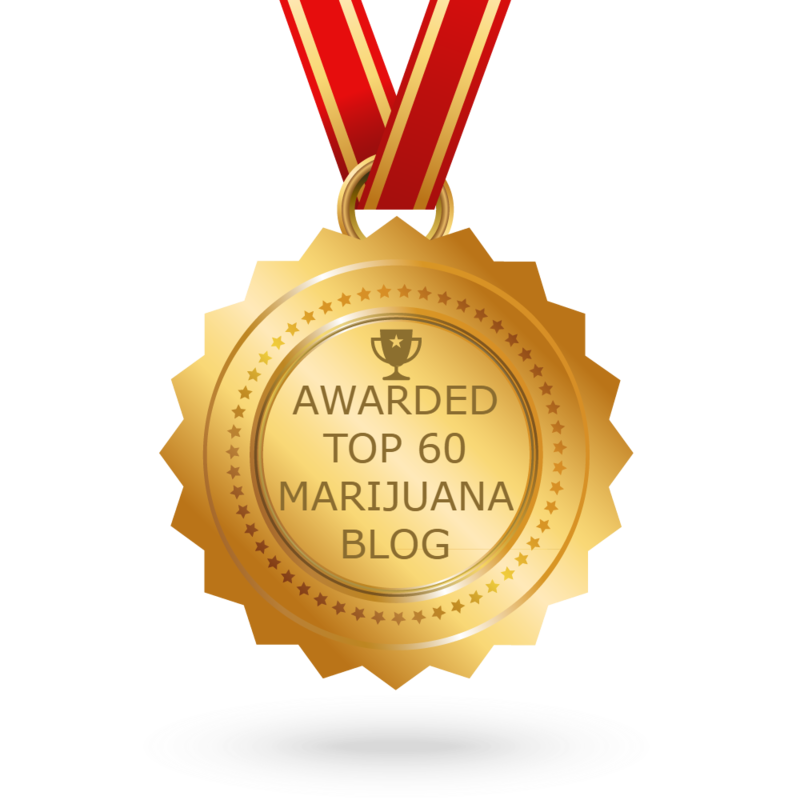 This is the most comprehensive list of best Marijuana blogs on the internet and I’m honoured to have you as part of this! I personally give you a high-five and want to thank you for your contribution to this world.